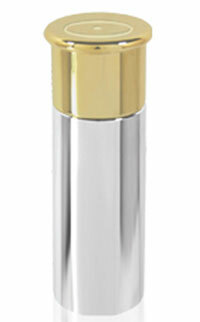 This is a 6oz shotgun cartridge flask. It has a plain pewter flask body in a cylinder shape and the lid is in brass which can be used for a cup. 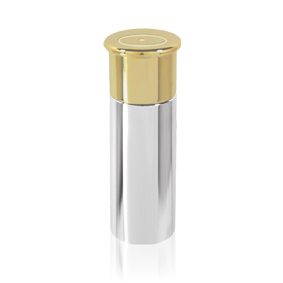 Inside is a screw top lid When all assembled, the flask resembles a shotgun cartridge. It is 150mm high x 50mm wide. It comes packaged in a plain black carton box.